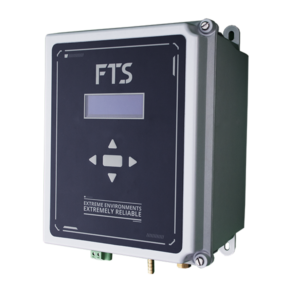 Top Reasons to Invest in the New FTS Bubbler - FTS Inc.
Environmental agencies and first responders across the globe depend upon hydrologists and meteorologists to monitor and analyze changes in our water levels. Hydrologists, in turn, depend upon state of the art measurement tools such as the FTS Bubbler to help them provide critical information quickly and accurately. From its accuracy to its resistance to harsh temperatures and elements, the FTS Bubbler is designed to meet the needs of hydrologists who work in the most unforgiving environments. Below are the top reasons why hydrologists should invest in the new FTS Bubbler. 1) Uncompromising accuracy. There is little room for error in the hydrology industry. Failure to properly measure water stage levels can lead to inaccurate flood and drought forecasting. The FTS Bubbler sets itself apart from competing models with its superb accuracy, bearing specifications of less than +/- 0.1% of the effective water stage or 3mm (0.01 ft). With this impressive degree of accuracy, the Bubbler meets and exceeds regulatory standards established by the USGS OSW (United States Geological Survey Office of Surface Water). 2) Sophisticated airflow system. Many water stage sensors require a manifold in their design. Congestion of this manifold is a common point of failure. The FTS Bubbler was engineered with a cutting-edge airflow system designed to eliminate manifold congestion, dramatically increasing reliability. 3) Built in screen. Few things are more frustrating for hydrologists than investing in a product that is difficult to use in the field. 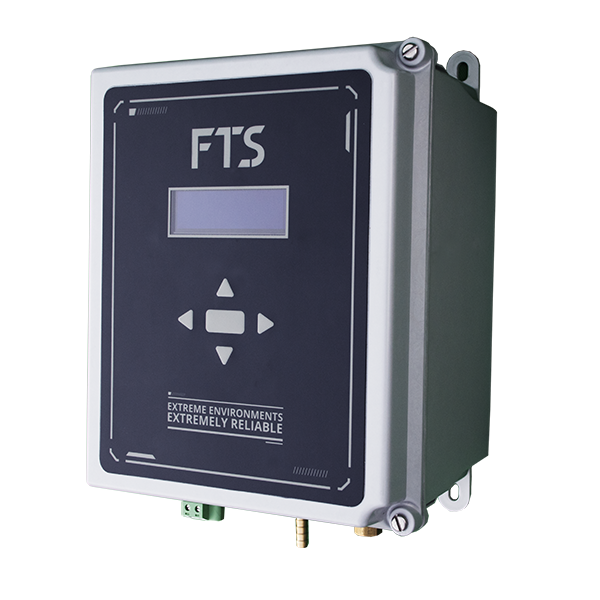 The FTS Bubbler includes a built-in screen, saving users time and energy when completing routine tasks, such as measurements and maintenance – no programming required! Users can easily select their preferred PSI (the Bubbler offers a range of 20 to 90 PSI) and their desired bubbles per minute (choose from 30 to 120 bubbles per minute). 4) Resistance to temperature fluctuations. Not all water measurement devices are created equal. Failure to function in extreme temperatures is a major drawback for some tools. Fortunately, the FTS Bubbler is designed from the ground up to function in temperatures ranging from -40°C to +60°C (-40°F to +140°F), enabling it to perform without fail in virtually any body of water. The Bubbler can also be stored in environments ranging from -60°C to +80°C (-76°F to +176°F) making it an attractive option for sites located in extreme climates. 5) Rugged quality. The FTS Bubbler was constructed with durability and longevity in mind. With its compact IP66-rated enclosure, the Bubbler can withstand continued exposure to the harshest elements and water pressure. Additionally, the FTS Bubbler is manufactured by an ISO-certified quality management system, illustrating FTS’ commitment to adhering to regulatory requirements and enhancing customer satisfaction. This allows users to focus exclusively on measuring water levels as opposed to troubleshooting product damage or technological failures. 6) 24-month warranty and manufacturer support. FTS offers a 24-month limited warranty on the Bubbler and all other FTS products, and is dedicated to offering the highest level of product quality and support. Whether you have a technical question about your FTS Bubbler or need help with a unique or challenging scenario, the experts at FTS are available to respond to your inquiry quickly and professionally. Lifetime technical support is free, and you always speak to a real person. Read more about our Terms and Conditions here. 7) Success across the globe. FTS products such as the FTS Bubbler continue to help save lives and protect the environment in countries across the globe. With headquarters, a laboratory, and manufacturing facilities in British Columbia and a branch office in Washington, FTS has established a strong physical presence in North America while distributing products in Asia, Australia and Europe. Additionally, FTS is proud to serve all levels of government in Mexico and South America. If you have questions or would like to learn more about the FTS Bubbler, we invite you to contact us. Our dedicated team is ready to help you find the right environmental monitoring solution for your needs.